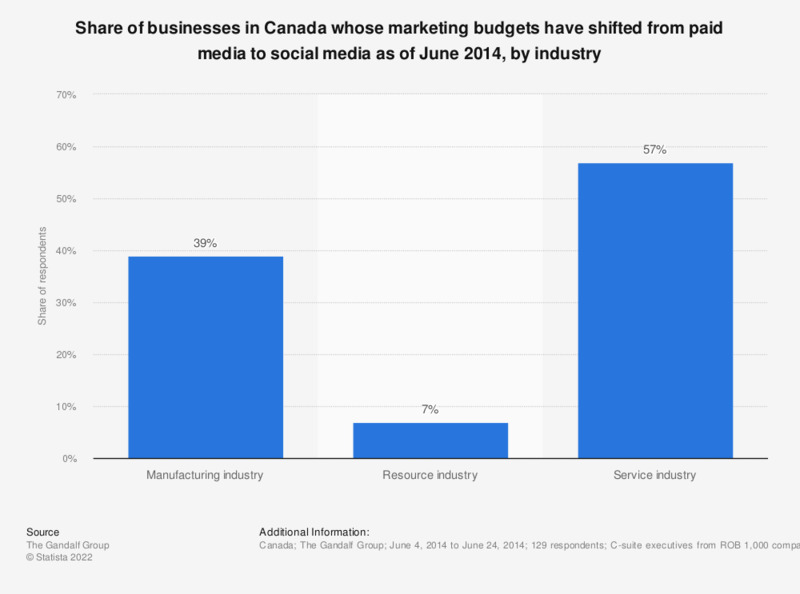 This statistic shows the responses to a survey about online and social media tools used in companies amongst C-suite executives who had their marketing budgets shift from paid media to social media in Canada as of June 2014, by industry. During the reported period, those in the service industry who reported shifting marketing budgets stated that 57 percent of their marketing budget had shifted to social media over time. Question: Has your company shifted marketing budget from paid to social media? If yes, can you estimate what percentage of your marketing budget has been shifted to social media over time.